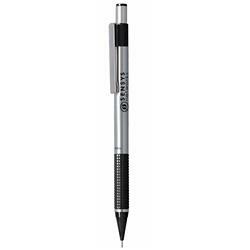 The Zebra Mechanical Pencil with the Sensys Logo. Sleek stainless steel barrel and textured grip. 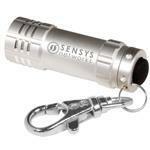 Refillable with standard 0.5mm lead. Replaceable eraser. Includes velvet sleeve. Typical Imprint Area(s): As shown.